LEGO M8 Camera or HERMES LIMITED EDITION M7 ? (aka H.Y. Leung) is both impressive and striking due to it’s accurate details such as the shutter button and LCD display at the back, complete with menu buttons. 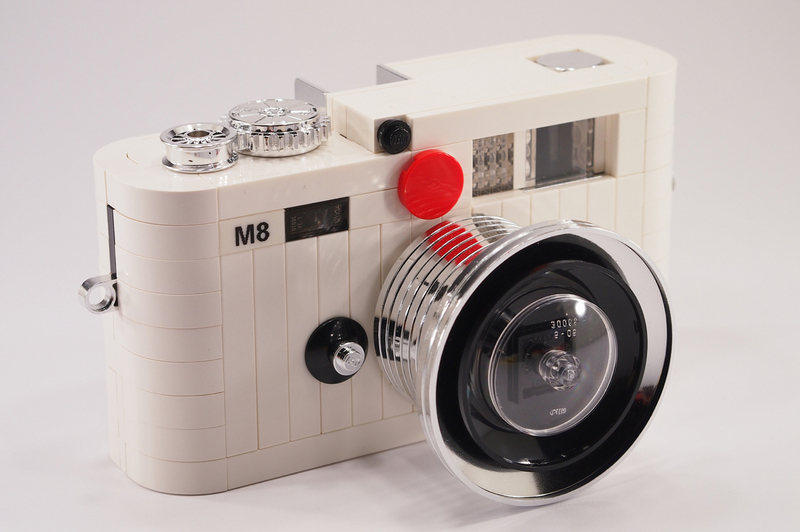 The signature red Leica emblem is also prominently displayed in LEGO form. This is a limited version, the most beautiful MP kit set ever made. Total 500 sets only, and here is the 32x/500! 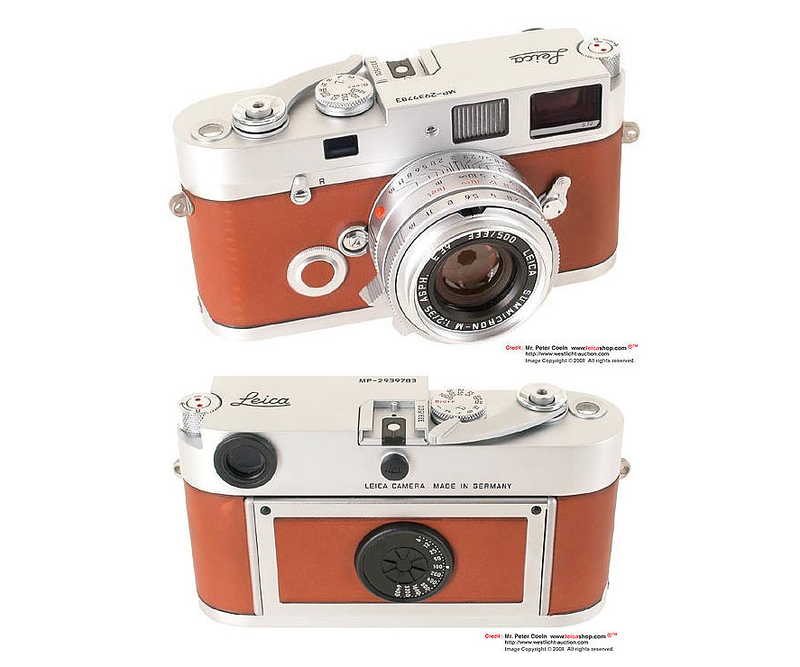 With the elegant “LEICA MP Edition Hermès” cameras, Leica Camera AG of Solms, Germany is initiating a series of strictly limited annual editions of its legendary Leica rangefinder cameras to be issued on special occasions. The “Edition Hermès” is a special edition of 500 silver-chrome LEICA MP cameras covered with exquisite Barenia calfskin supplied by the famed Parisian high-fashion house Hermès. Poverty is a global issue. Over a decade ago, world leaders at the UN Millennium Summit pledged to 'End poverty by 2015'. With just three years left, they will not meet their commitment. Perhaps surprisingly, Hong Kong too has a serious poverty problem. Amidst great affluence, 18.1% of the population struggles to make ends meet. Images of the personal and social impact of poverty are everywhere. Supported by WYNG FOUNDATION, the WYNG MASTERS AWARD for Photography is a non-profit project initiated to spark public awareness and support interest in socially relevant subjects. The intention is to stimulate discussion and encourage social responsibility on important issues in Hong Kong through the medium of PHOTOGRAPHY. 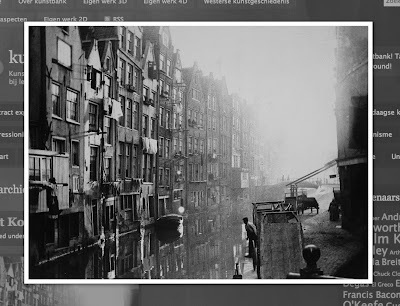 The Dutch painter George Hendrik Breitner made thousands of photographs over a period of many years, but during his lifetime almost nobody realised this. Photography is something on which he rarely commented. 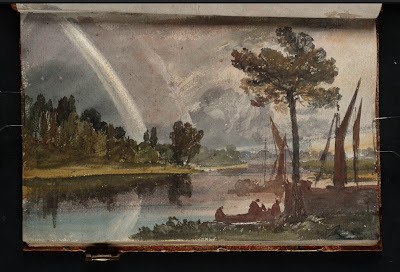 In his day, it was frowned upon for artists to use photographs; the painter’s observation and invention were much more highly valued than the use of a camera as mechanical drawing aid. 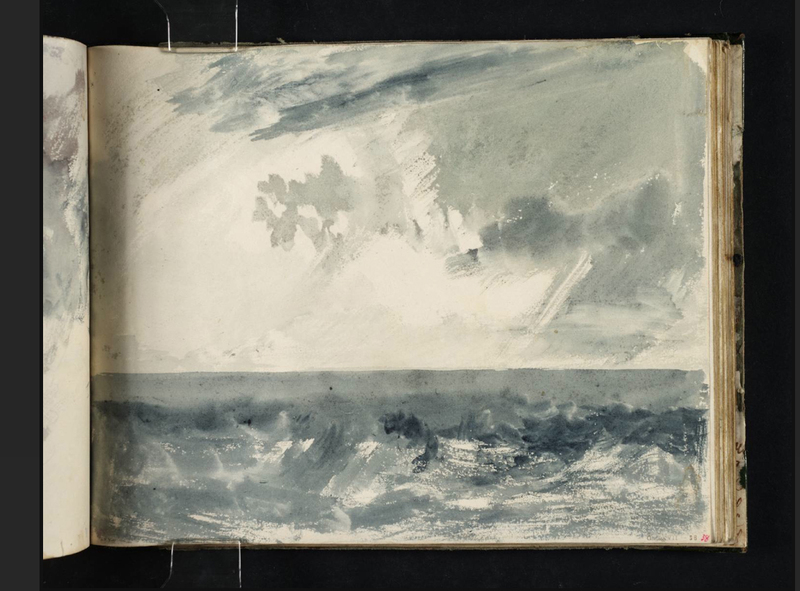 In his book a brief history of Dutch painting, published in the year Breitner died, the prominent critic Albert Plasschaert wrote about Breitner’s art: ‘in addition I believe that I can detect here and there the use of a camera (that danger)’. The discovery that Breitner had been such a prolific photographer would not happen until nearly 40 years after his death. In 1961 the Netherlands Institute for Art History (RKD) in The Hague received the gift of almost 2000 negatives and 300 prints from Hein Siedenburg. These had been left to him by his father J.H.H. Siedenburg, who had died recently and had been the owner of Buffa and sons, the art gallery that represented Breitner in his final years. 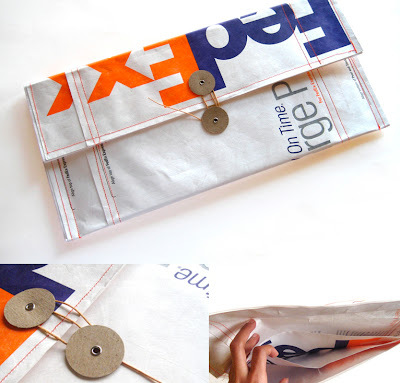 of a FedEx Tyvek envelopes. Lizania Cruz is a graphic designer that grew up along the southeast coast of the Dominican Republic. There she ate the fresh coconut fish that her grandma made every Sunday and received an Associate degree from Altos de Chavón the School of Design. She then moved to Philadelphia where she finished her Bachelor degree at Philadelphia University. Currently she is working at Language Dept in NYC. Lizania is also trying to replicate her grandmother's recipes without any luck. formed the basis of the first Kembo collection. This model is still in production in virtually its original design, and its excellent design and sit qualities continue to make it a popular item for use in projects and homes. Kembo was present during the Trinnale in Milan in 1954, where it was awarded special distinction for the products it presented. 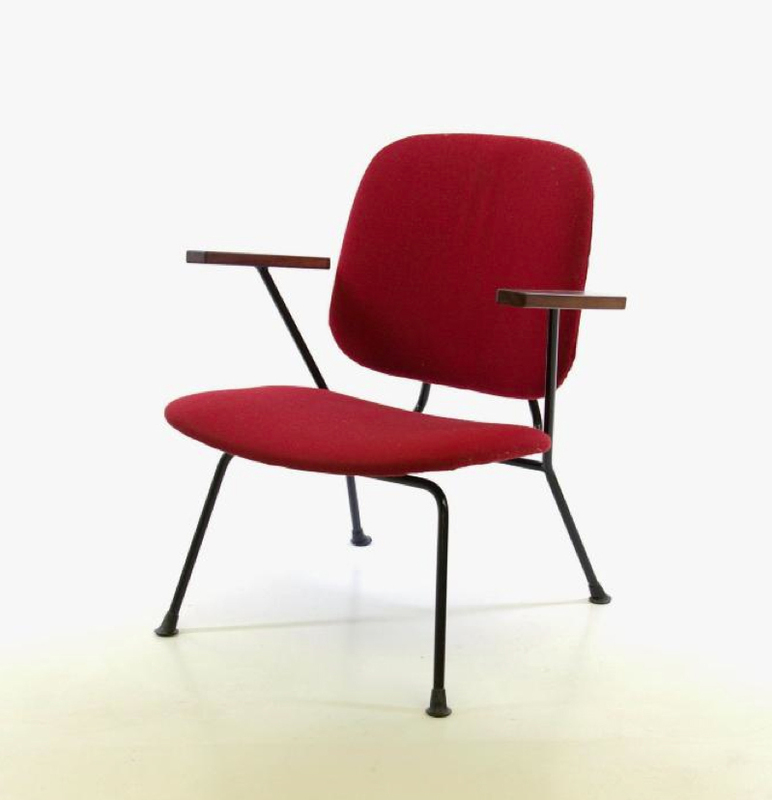 Willem Gispen had already started at the beginning of the 20th century with a series production of furniture with a tubular frame. His pragmatic concepts are still the high point in Dutch industrial design that through their simplicity fit in a modest interior. The frame and arm frame are manufactured from round chromed tube. The shell-shaped back, seat and arm units are the result of the high level of know-how and design from the fifties. 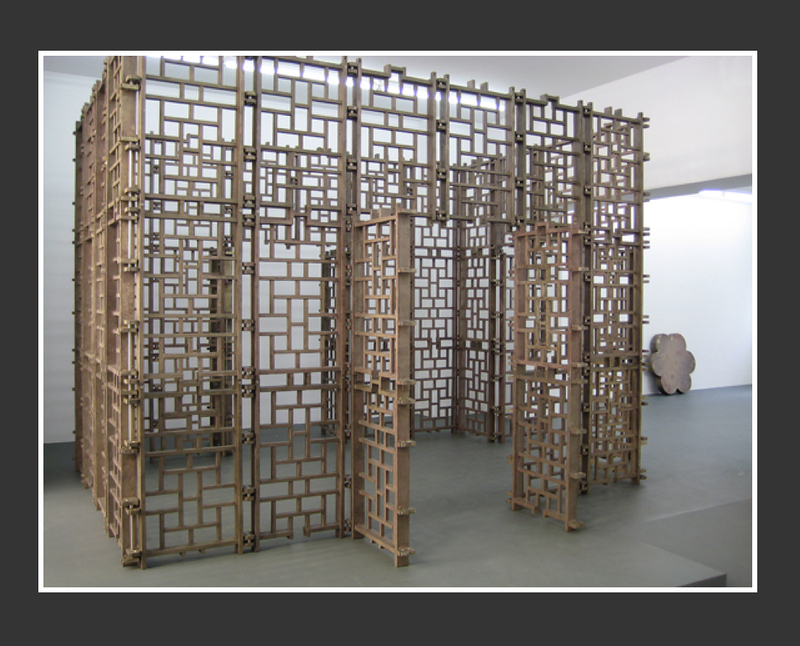 The Bronze House is a long-term project by Plamen Dejanoff, representing the most ambitious undertaking in a career characterized by the artist's exploration of the bonds between art and economic processes, and the role of the artist and what he can actually do in contemporary society. The artist began in 2006 to delineate and develop his monumental Planets of Comparison project for his birthplace, Veliko Tarnovo, a charming city of Medieval origin which still conserves traces of its glorious past as capital of the Second Bulgarian Empire. 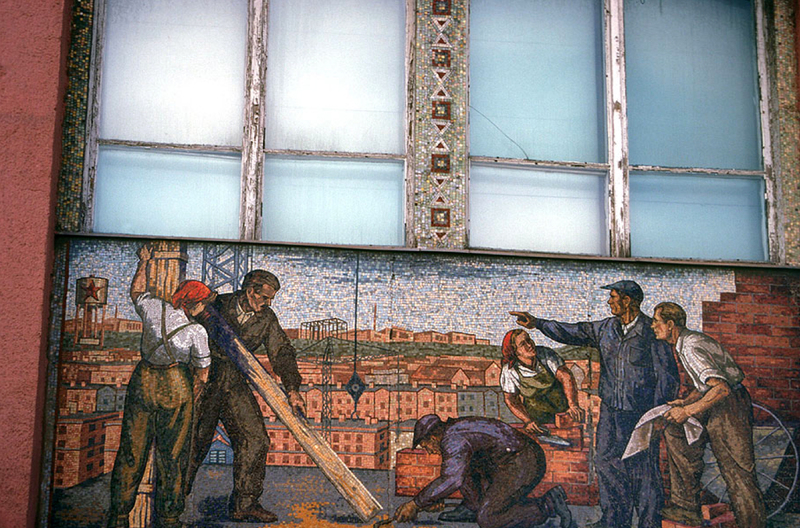 Dejanoff acquired a number of worksites in the city center with plans to build several infrastructures made of bronze. 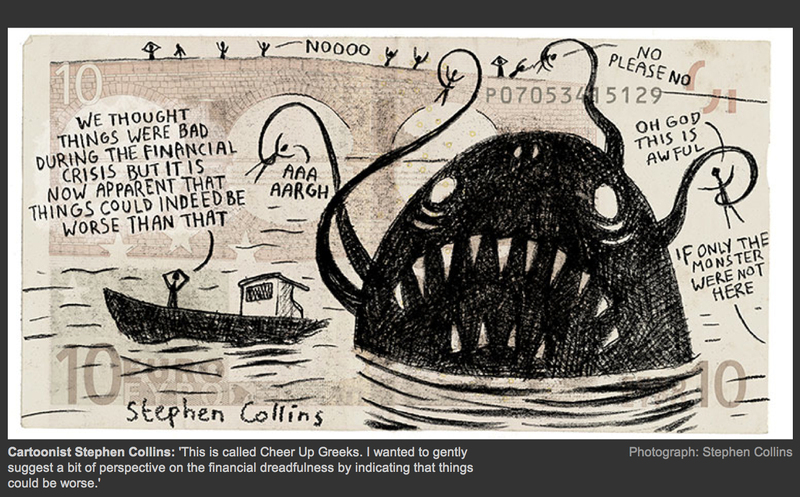 To finance his idea, the artist created a specific foundation that he promotes through a meticulous marketing strategy. 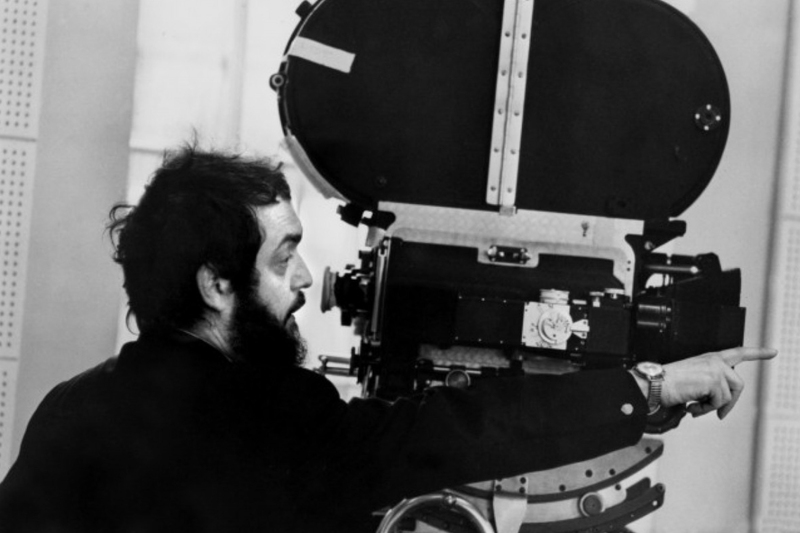 the genius behind films such as A Space Odyssey, A Clockwork Orange and The Shining. Kubrick's films are both technically and artistically stunning. While content-wise, he often sought to be controversial. The exhibition is a co-production with the Deutsches Filmmuseum in Frankfurt and shows all aspects involved in the creation of Kubrick's films: from screenplays to storyboards, from set models to actual props, and from costumes to clips of the eventual films and documentaries. 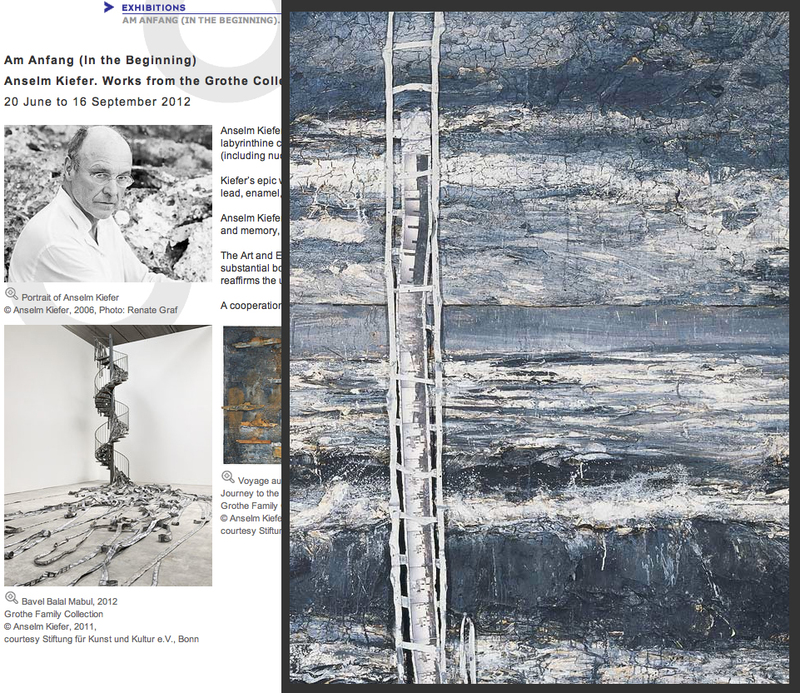 Coinciding with dOCUMENTA 13 in Kassel, the Art and Exhibition Hall in Bonn is presenting key works by Anselm Kiefer (b. 1945) from the Grothe Collection. Staged across 2000 square metres of gallery space, Am Anfang (In the Beginning) is the first exhibition devoted to this substantial body of works by the celebrated German artist. The selection, complemented by recent acquisitions and sculptural pieces, reaffirms the uniqueness of Kiefer's oeuvre. The Tate collection holds more than 300 sketchbooks by JMW Turner. 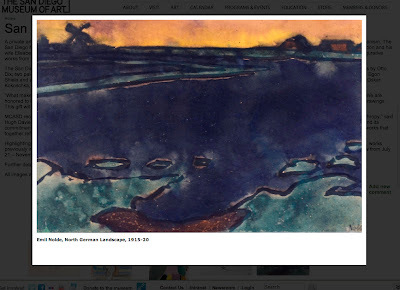 These have all been digitised to enable you to experience the artworks in their original context. You can browse the sketchbooks by decade under the context menu. Living units is the result of our research on serial architecture and its implications in several locations through Budapest, Bucharest and Dunajvaros. 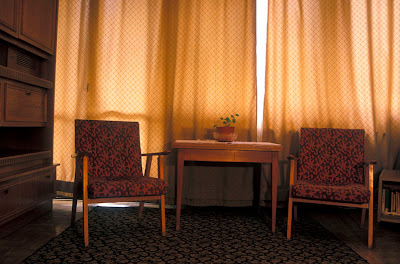 The project refers to post-socialist living in these cities where people had to adapt to the post-traumatic situation. Blocks of flats have lost the ideology that created them. The trip to Dunajvaros was very important in our research because the city was constructed from nothing, a pure utopian socialist city raised at a cross roads from Stalin's order. Dunajvaros was at first named Stalin's city. The aim of this project was to create an innovative and fun detergent, transforming the boring action of washing clothes into something more exciting and interesting. "First of all I had to choose my target, I’ve picked to target students and young people that just started to live on their own and have no idea how to wash clothes. 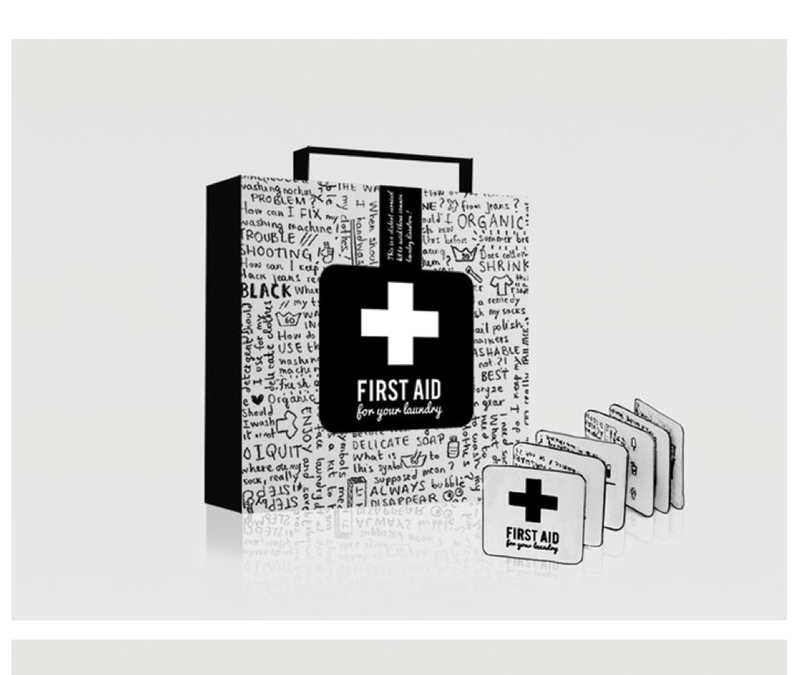 I have designed a special “Survival Kit” for them with soap, conditioner, scent and a special small stein remover that you can carry with in your bag and use it for emergencies." 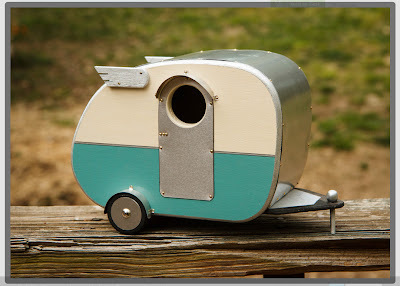 This birdhouse is inspired by the Shasta campers of the 1950's. The color scheme is creme over turquoise with a black accented silver stripe. The aluminum door is both a design accent and a deterrent to squirrels, while the curved awning is just pure style. Features a slide out bottom for easy cleaning, durable and stable marine grade plywood construction, brass fasteners and one and one half inch entry hole. 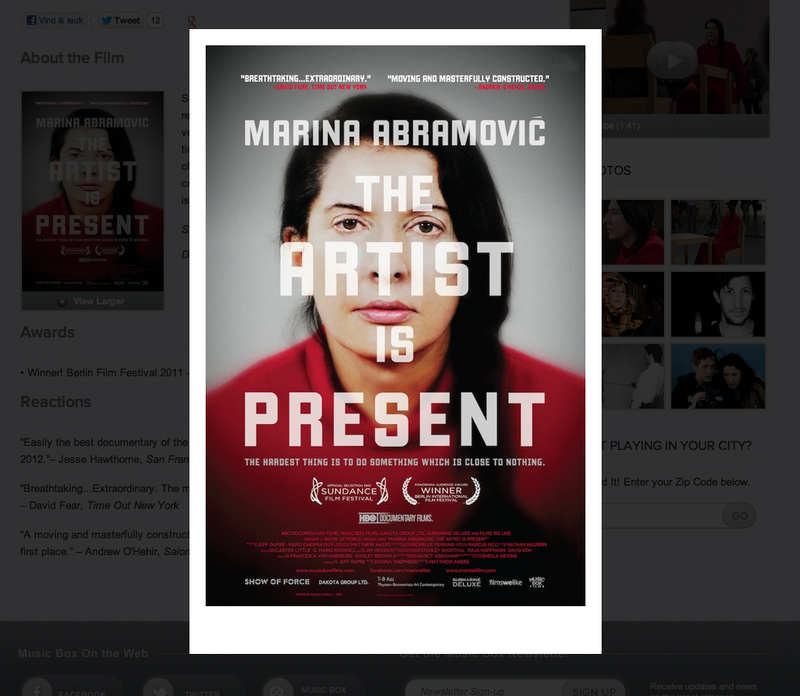 MARINA ABRAMOVIĆ THE ARTIST IS PRESENT is a mesmerizing portrait of the pioneering and controversial performance artist. Featured in competition at the 2012 Sundance Film Festival and winner of the Panorama Audience Award at the Berlin Film Festival, the film will premiere in New York at Film Forum on June 13, in Los Angeles at the Landmark NuArt Theatre on June 15. 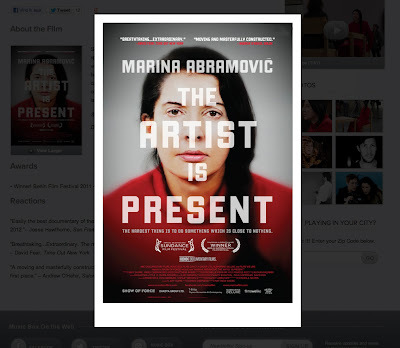 MARINA ABRAMOVIĆ THE ARTIST IS PRESENT is an HBO Documentary Films and Music Box Films release of a Show of Force production. a landmark public art initiative focused on raising attention to Water as a precious resource. For twelve weeks in the Spring of 2013, rooftop tanks in New York City will be transformed into works of art by established and emerging figures in art, music, science as well as New York City public school students. 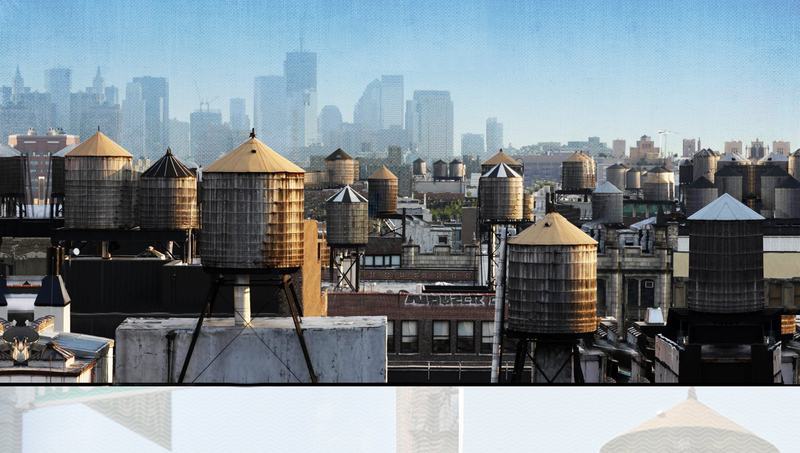 This production will redefine the skyline across all five boroughs and reach millions around the world through the super technology of Apps, social networking and online multimedia tools. 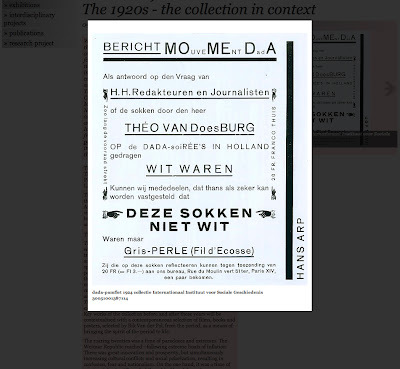 The title of the exhibition is derived from a Dada document addressed to the "HH Journalists and Editors,” found in the collections of the IISH. This pamphlet, prepared in response to the fierce criticism Van Doesburg and his associates received after the “Dada Campaign,” says-jokingly-that the socks that Theo van Doesburg wore during the Dada soirees were not white, but “gris-perle.” Not everything is what it looks like or should be, the pamphlet seems to say. The image created by the media does not (always) convey reality. 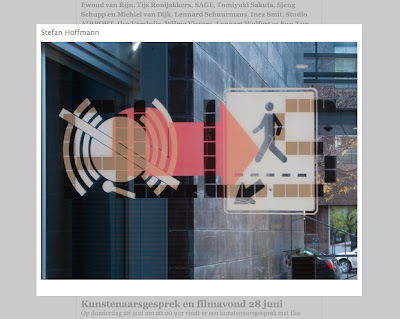 The way information is generated, what is deemed important and why, as what is chosen to create an image of past and present? How is information conveyed and in what ways can we look at it? And if we think we know what we believe we know, do we see it as well, even if it is not directly said or shown that way? 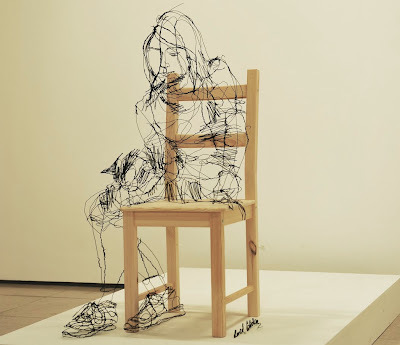 Sculptor David Oliveira tell about his very interesting wire sculptures. 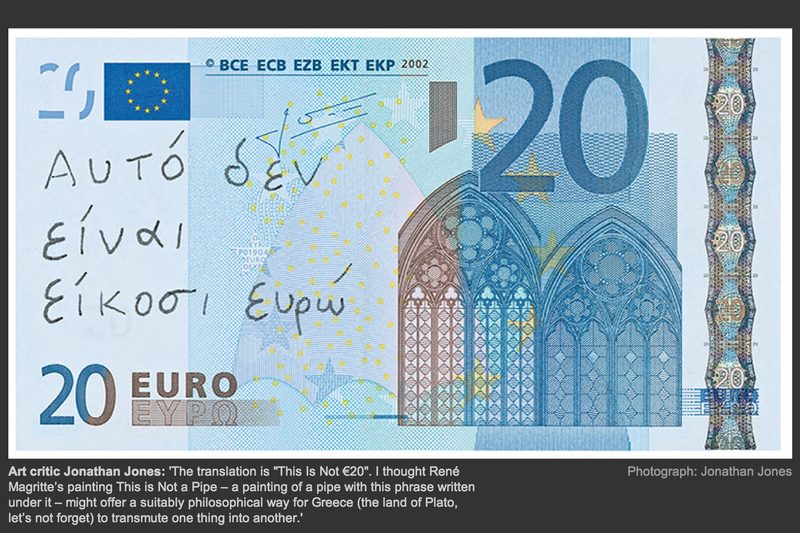 At first glance, it seems as though someone has just scribbled drawings on top of existing photos. 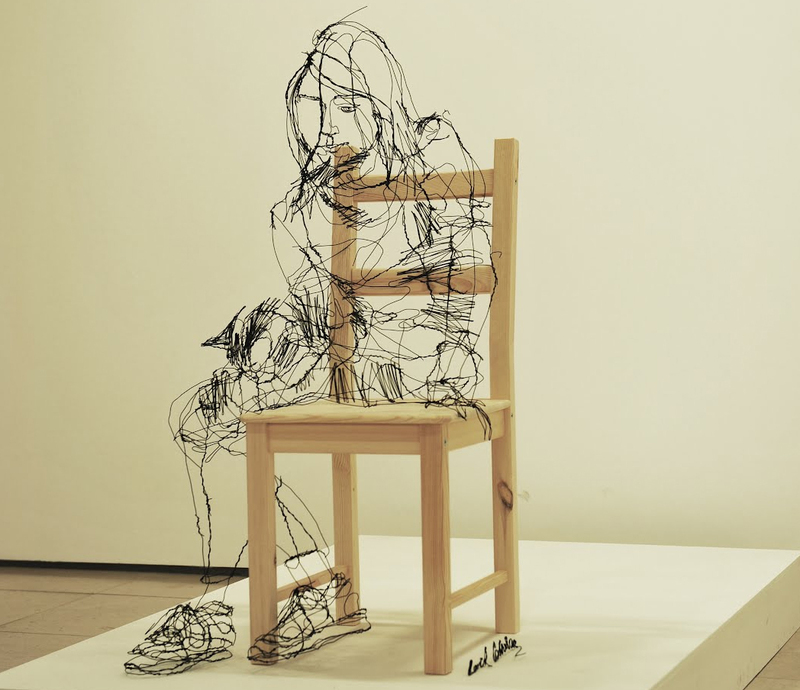 In reality, the Lisbon-born artist who has a degree in Sculpture and a Masters in Artistic Anatomy from the Lisbon Faculty of Fine Arts, twists and turns wire until he creates distinguishable figures and objects. Mysteriously, some of these pieces look like they're actually floating. In honour of the European Championship football 2012 in Ukraine and Poland, the Royal Dutch Mint plans to issue the ‘Orange lucky 10-cent coin’. 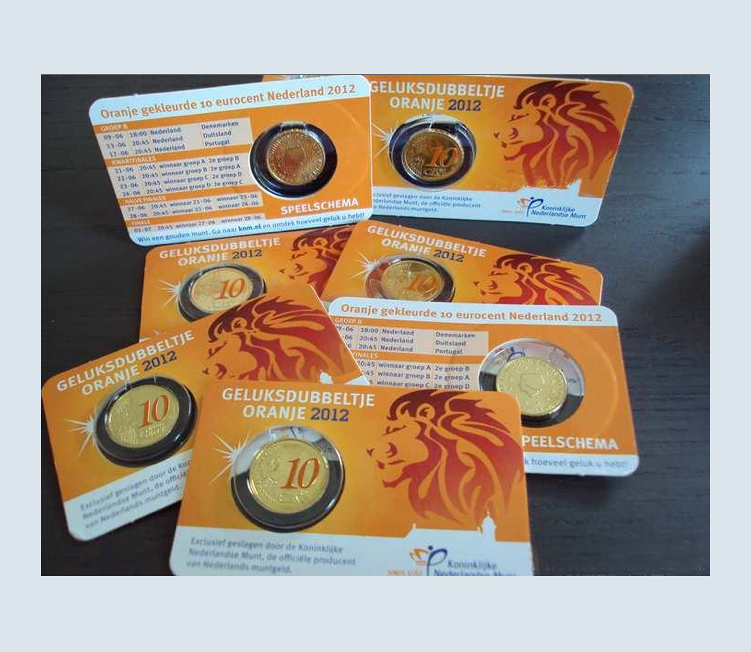 It is the very first official Dutch 10 euro cent to be issued in orange. 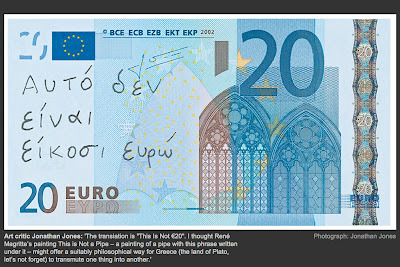 Support Orange with an official orange-coloured 10 eurocent 2012. The EC match schedule is shown on the packaging and it fits perfectly inside a purse. 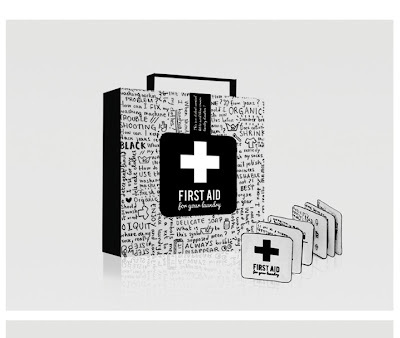 The coin can be removed from the packaging and can be used, for example, to toss. 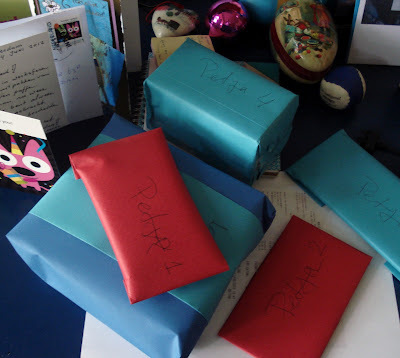 Nice to have or to give as a gift. On 23 May 2011, the art collector Harold Berg deposited with MACBA a legacy of 46 photographs taken by Gordon Matta-Clark (New York, 1943-1978) himself to record his famous 'building cuts', ephemeral pieces taken from buildings. According to the curator Elisabeth Sussman, these photographs form 'an exceptional series provided by Matta-Clark himself to document one of the most outstanding facets of his work'. The images document Matta-Clark’s technique of making ephemeral cuts in buildings, a practice which assured him a prominent place in the history of contemporary art. In the first, Bronx Floors (1972-1973), he outwitted the police in order to use a handsaw and cut out rectangular sections from floors and walls in abandoned buildings in the Bronx neighbourhood, which he then showed at commercial galleries. In the last of these actions, Circus-Caribbean Orange (1978), commissioned by the Chicago Museum of Contemporary Art, Matta-Clark drew a complex web of circular cuts in three houses adjoining the museum itself. All Graphics! 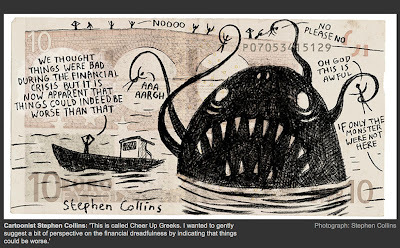 gives a current picture of the unorthodox use of graphic techniques, ranging from an alphabet in linocut, etching and installations called Window to animation in lino printing, artists books and screen printing on T-shirts. 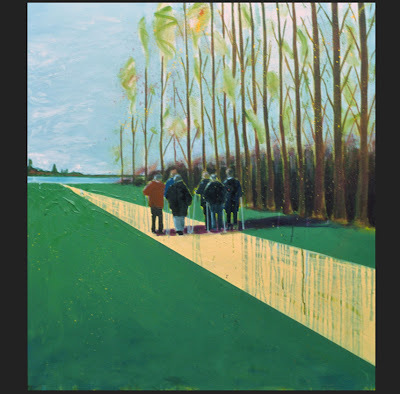 Participating artists are: Randy Beker, Karin Bos, Arjenne Fakkel, Thijs Ebbe Fokkens, Stefan Hoffmann, Marianne Kaars, Scott Minzy, Gijs van Noort, Jos de L’Orme, Gemma Plum, Jurriaan Rexwinkel, Ewoud van Rijn, Tijs Rooijakkers, SAGE, Tomiyuki Sakuta, Sjeng Schupp en Michiel van Dijk, Lennard Schuurmans, Inez Smit, Studio AIRPORT, Ilse Versluijs, Wilma Vissers, Lennart Wolfert en Sun Xun. One museum, two shows, over fifty works from two movements of the avant-garde that distinguished the history of twentieth century art: Cubo-Futurism and Surrealism. 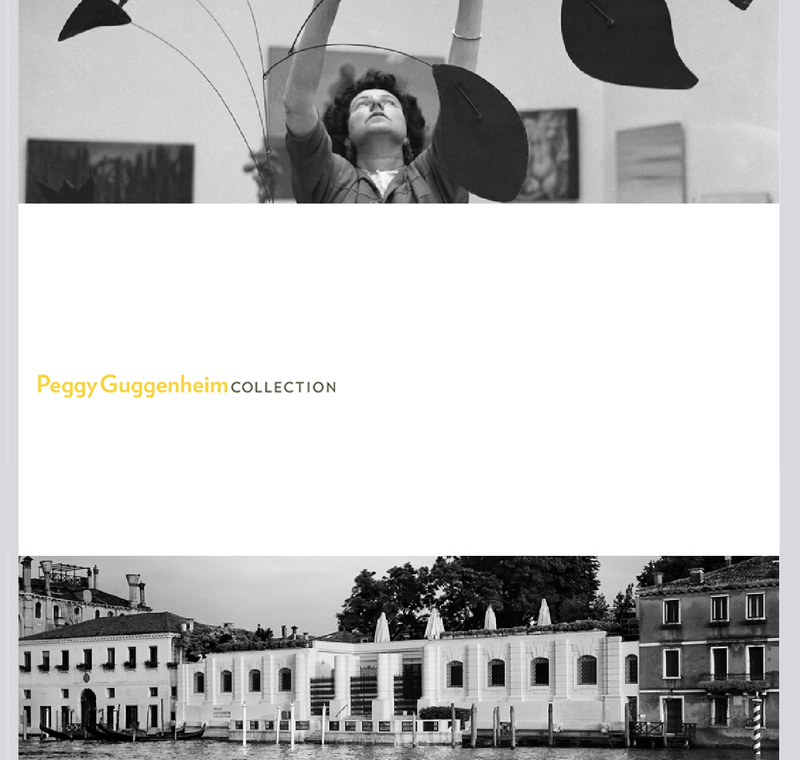 This summer the Peggy Guggenheim Collection presents the work of two painters: Jean Metzinger (1883 - 1956), French Cubist, and Charles Seliger (1926 - 2009), American Surrealist. 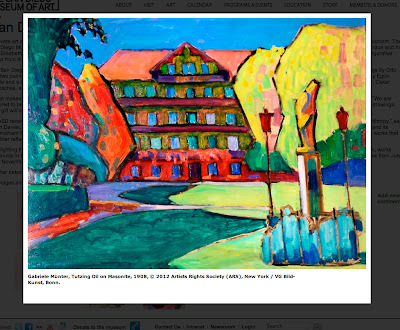 From 9 June through 16 September 2012, the museum's exhibition galleries will be shared between two exhibitions. Cycling, Cubo-Futurism and the Fourth Dimension. 'At The Cycle-Race Track' by Jean Metzinger is centred on Metzinger's painting of 1912, an important work of Parisian Cubism in the collection of the Venice museum, while Seeing the World Within: Charles Seliger in the 1940s is the first show in Europe dedicated to the innovative paintings created by Seliger at the beginning of his career. A private art collection amassed over more than 30 years is returning home to San Diego, bringing to the city masterpieces of minimalism and of German Expressionism. The San Diego Museum of Art and the Museum of Contemporary Art San Diego (MCASD) are both the recipients of a major bequest from the late Dr. Vance E. Kondon and his wife Elisabeth Giesberger. Kondon was one of San Diego’s premier art collectors and an avid supporter of the city’s cultural scene. His collection ranged from figurative works from the first half of the 20th century to refined abstract pieces from 1950 forward. Mirjam Dijkema (1984) got her BA at Academie Minerva in Groningen where she studied Graphic Design and Illustration. 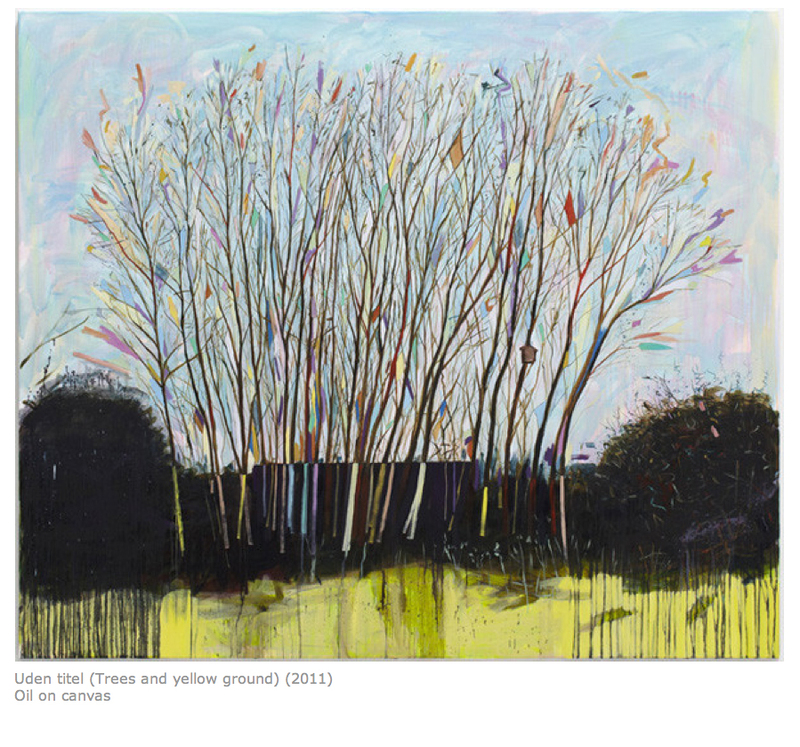 After that she studied Art History at the University of Groningen. 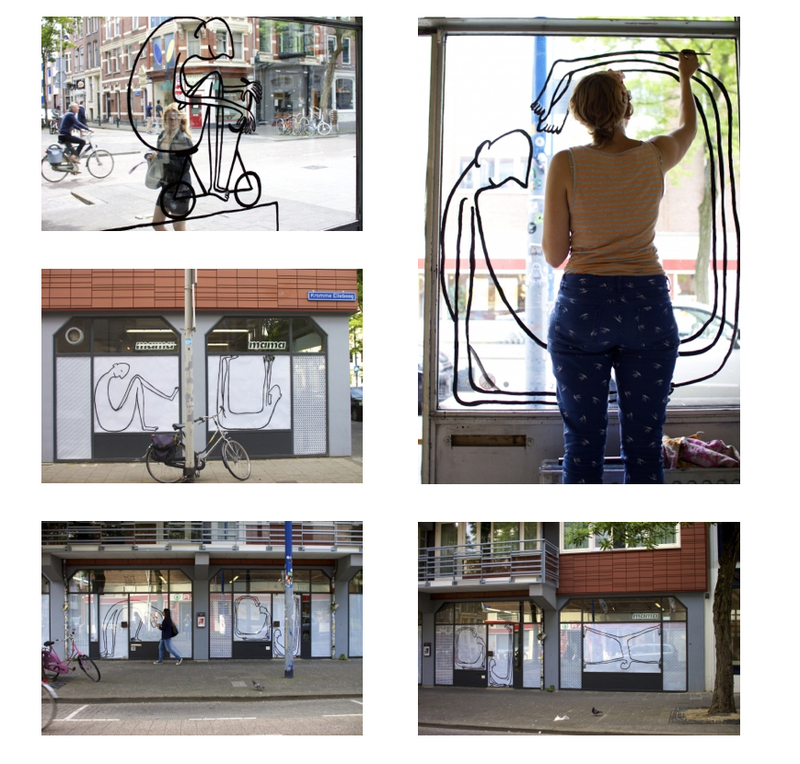 Currently she is a self-employed illustrator and graphic designer based in the Netherlands. 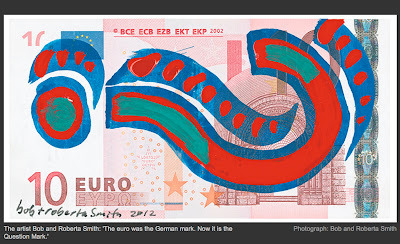 Since 2006 she works as a poster designer and screen printer in Vera - club for the International Pop Underground. In 2012 Mirjam started working at the Academy of Fine Arts & Design in Groningen, where she teaches Art Theory and helps Communication Design students prepare for their thesis. 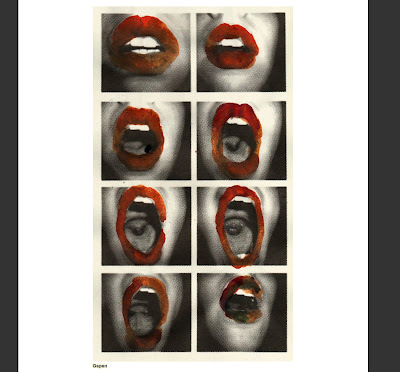 Having studied Art History, Fine Arts are an important source of inspiration for her. Further, she's inspired by a lot of Dutch graphic artists (H.N. Werkman, Max Kisman, Joost Swarte) as well as many Polish poster designers (mainly in the fifties and sixties) like Henryk Tomaszewski, Wasilewski and Mlodozeniec. The looting of an inn, Leiden 1748. 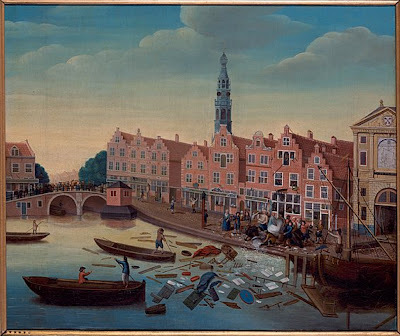 The inn was known as the house with the three harings in Leiden, (Holland) and was looted by an angry mob because the owner of the inn bought a lease on all the firewood in town and he tripled taxes overnight. 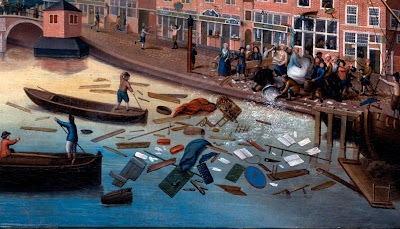 The next day a lot of people paid him a visit and all his belongings ended up floating in the canal. The name of the innkeeper was Leendert Adrianus van Stipriaan. He was a genuine Ebenezer.. diluting the booz and polishing every penny he had. 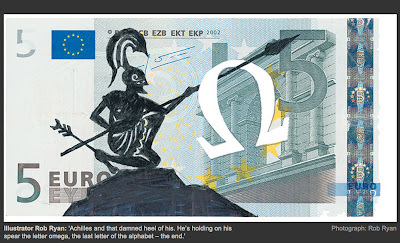 The current economic ­instability in Greece could soon force the country out of the eurozone, which means it will need to print a new currency sharpish. 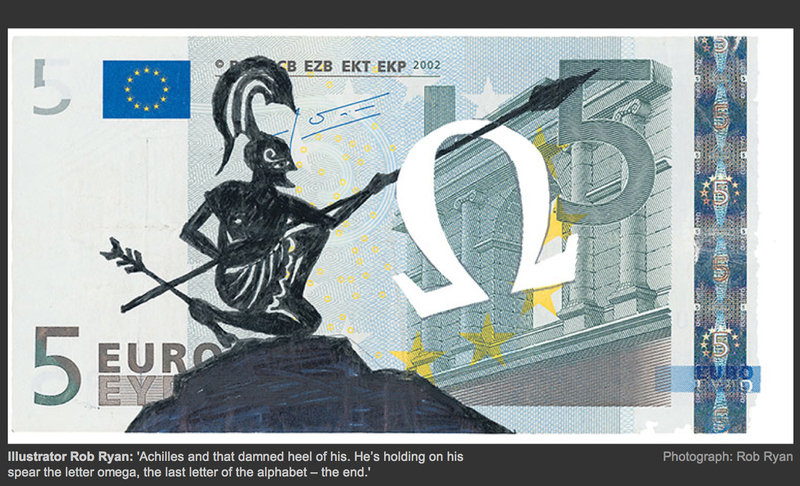 De La Rue, the British company that produces bank notes for more than 150 countries, is reportedly preparing for a ­potential reintroduction of the drachma, but given that a lot of the equipment used for that ­currency has been destroyed, it will take them months. 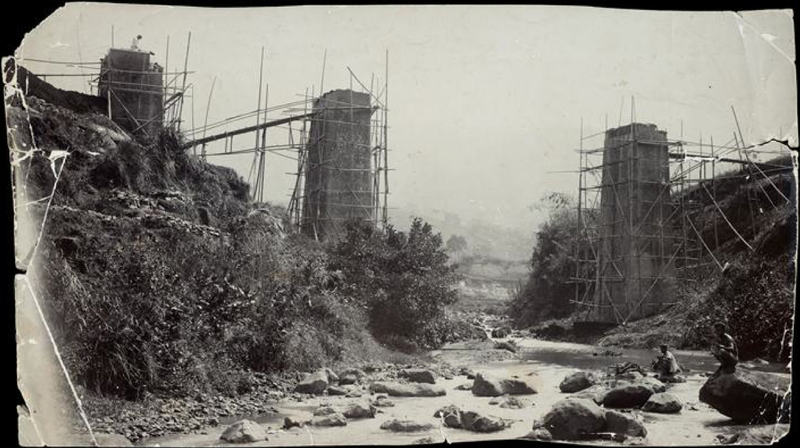 From its extensive collection of historical photographs, the Tropenmuseum presents a selection of images curated by Hans Aarsman, the Dutch Sherlock Holmes of photography. Only when pictures of bridges were being taken: the bridge had to be in the photo, and both banks. And then something of the landscape would naturally creep into the picture.